The Red Admiral and the Orchid. Giraud S. Louis, ed. Bookano Stories, No. 1. Starting at the end of the 1920s, the British Bookano series represented the first truly "automatic" books. Here, with the turning of the page, whole forms and figures popped into shape, viewable from all four sides. The self-styled wizard of Bookano, S. Louis Giraud, had been in publishing for some time, working in the Book Department of London's Daily Express. This background in supervising editorial and production efforts prepared him for his meeting with the paper engineer Theodore Brown. Everything was set for Giraud to launch his own publishing venture. Between 1929 and 1949, Giraud produced sixteen annuals in the Bookano series. 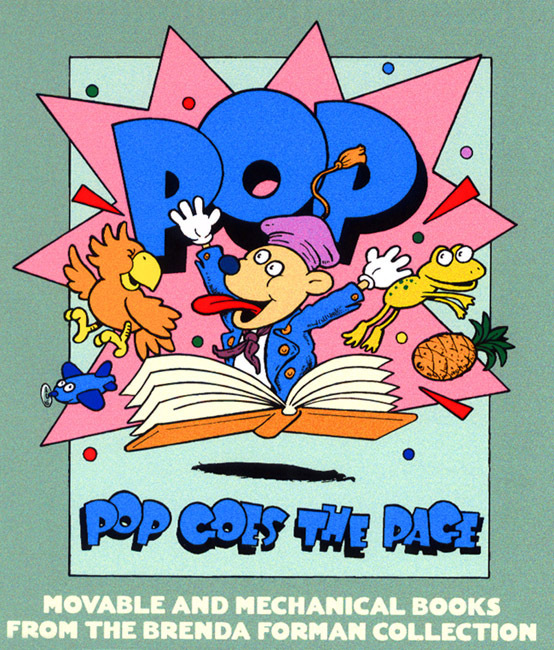 He coined the title, Bookano, by combining the words "book" and "Meccano," the name of a popular mechanical toy. Giraud filled each annual with children's stories and nursery rhymes and targeted a more accessible audience by lowering the books' prices. He cut production costs by using inexpensive thick paper, coarse photolithographic printing, and low-quality bindings. The series eventually came to rely heavily on pop-up templates. These formulaic constructions--a figure, a structure, a vehicle, a landscape--differed primarily in illustrative detail. Nevertheless, the Bookano series enjoyed a widespread and lasting popularity. In order to put together all of his Bookano models, Giraud hired out the job on a piecework basis. Using a large yellow van with a Bookano pop-up on the roof, he had the cut sheets delivered to people's homes and then picked up after they were assembled. A central group, working close to Giraud and including his daughter, checked these models before they were pasted into the pages of the printed and bound books. With each subsequent sale, the modern pop-up became a familiar sight on the nursery bookshelf.